A programme of litter picking will continue for the area (outside of business boundaries) including the removal of litter in shrubs. 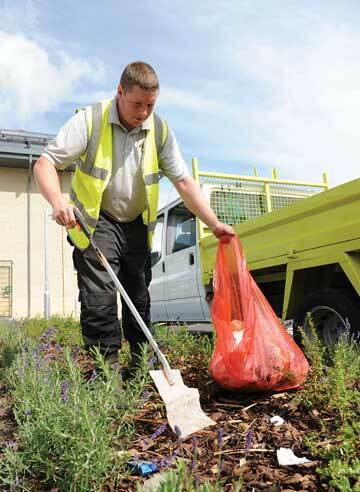 A litter campaign will be developed with businesses. To monitor the area, identifying vandalism, fly tipping and graffiti issues. The BID will work with the local authority, police and CCTV monitoring team to identify those responsible and to ensure the efficient repair of street furniture and removal of waste. To undertake a programme of landscape maintenance cutting back shrubs from public footpaths and ensuring estate signs are visible. Evidence of drug taking has been repeatedly found in the BID area in recent years. The BID will raise any evidence of drug taking with the local authority’s Drug Action Team.